The year started with a standoff when Apple challenged over 11 orders issued by US district courts requesting software that would allow the FBI to unlock an iPhone 5C. The phone belonged to one of the terrorist who committed the San Bernardino attack that killed 14 people and injured another 22. Apple challenged the orders citing privacy concerns and fear of setting a precedent. The rest of the tech world publically backed Apple. Eventually the FBI used a 3rd party to gain access to the phone avoiding legal hearings. The three major tech companies in the US phone market made headlines this year. Samsung released its Note 7 which critics were hailing as the best phone ever… until they started to spontaneously combust. Samsung issued a massive recall giving customers a replacement phone which ultimately proved to be unsafe as well. Eventually cell phone carriers pushed updates that prevent the phones from charging. 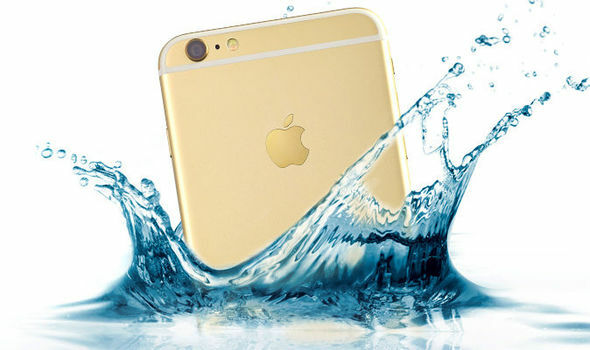 Apple’s new iPhone is fully water proof with enhanced front and back cameras. The iPhone 7 Plus features a second back lens allowing for depth of field photos that rival low end DSLR cameras. However not everybody was thrilled about the disappearance of the headphone jack. Apple announced their new headphones would connect via the lighting cable port or users could opt to go wireless with AirPods. Google, the leader in smart phone software (Android), announced their first smart phone, the Google Pixel. Despite positive reviews across the board, the hardware has yet to gain mass popularity. Social media was in the news all year long. Vine was purchased by Twitter, however nobody is sure why since they essentially killed the service after buying it. Facebook introduced live streaming which wasn’t the instant trend they hoped it would be, but is slowly growing in popularity over the course of the year. Twitter played a major role in all of the candidates’ campaigns, with Bernie Sanders and Donald Trump leading their respective parties in retweets. So did fake news. Facebook came under fire for allowing fake news articles to trend on their site. The company has teamed up with legitimate news organizations to help identify fictitious articles. “Alexa” became a house hold name this year as the virtual assistant integrated with more and more smart home devices. Not only can Amazon Echo control DIY devices, but it integrates with Lutron and Control 4 as well. By the end of 2016 Alexa was no longer the only game in town with Google Home entering the market. This summer, Pokémon Go proved that the world wanted augmented reality games. The widely popular app was played by approximately 21 million users across the globe overloading servers. While the game got people out and about and created a sense of unity among players it also led to trespassing, distracted drivers, and criminals using the Pokémon lures to lure unsuspecting victims. The fad quickly faded out toward the end of the summer. We had heard about virtual reality headsets for years and in 2016 they finally hit the market. However, there is a big price variation with the Samsung Gear VR starting at $97.98, the Play Station VR coming in at $399, Oculus Rift at $599.99, and HTC Vive topping out the list at $799. The race is on to see who can create the best self-driving car. Industry leaders such as Tesla, Google, and Uber already have working prototypes in the field. Tesla announced that cars with a full autopilot feature will be available in 2017. Amazon Go is a test store in Settle Washington that is upgrading the grocery shopping experience. Customers tap their phones at the terminal, releasing the product while digitally adding it to their electronic tab. We’ll have to wait until next year to find out if there will be an Amazon Go coming to New York. Many of our clients already have one and while it’s most likely the least exciting item on our list, it is also the number one must have item. There are a lot of incredible tech gadgets that we know you want to use, we love them too, but they come with huge security risks. Luckily protecting your home network and the personal information stored on your computers is really easy to do. Just connect your Wi-Fi devices to your guest network. We have been talking about virtual reality headsets for over two years and this holiday season they have finally arrived. Note they vary in price with Samsung Gear VR starting at $97.98, Oculus Rift at $599.99, and HTC Vive topping out the list at $799. In our 2016 Top Tech Toys list we went with PlayStation VR which costs $399 since it works with an established gaming system. We suggest checking out this article from wearable.com as to which VR headset is best for you. This is really the first DIY smart home device that integrates with professionally installed systems. Through the use of Alexa (the name of the software, similar to Siri) high end homeowners can control their Lutron or Control 4 systems with their voice. While users can connect anddownload Lutron or Control 4 "skills" and connectEcho to their systems themselves, we do offer an Amazon Echo set up service, for clients who would like us to verify the integration and make any adjustments. To request set up you can email service@hteny.com. Back in the day we took photographs that produced actual prints. Whether you stored them in a well-documented album or kept them in a container, there was always a tangible copy of your memories. That all changed with digital cameras and smart phones. The majority of our pictures are being uploaded to various clouds but never exist as a physical photo. HP is looking to change that with its' line of mobile printers that work with iOS and Android devices. In an attempt to keep our financial information more secure, banks have been sending out new credit cards with chips in them. While these chips may protect us at check out, they actually make us more vulnerable the rest of the time. Identity thieves are using devices that can capture card information simply by standing next to us while our cards are in our purse or wallet. Since this discovery, numerous RFID blocking wallets and bags hit the market varying greatly in price depending on designer. Now there is a solution for those who like to keep their card in their pocket. Fashion Company Betabrand has introduced READY Jeans. These Norton protected trousers are lined with RFID blocking fabric while looking like classic denim. A new company, Likeaglove is aiming to do the impossible, help woman find the perfect pair of jeans. Likeaglove sells technology infused yoga pants that connect to their accompanying app. Simply put on the yoga pants and the sensors will take your measurements. It then compares your measurements to a database of denim manufactures to find which jeans will fit you perfectly. Although this is not cutting edge technology, it made our must have list this year due to nostalgia. According to a recent ESA Report the average gamer is 38 years old, meaning they were first introduced to the original Nintendo during their youth. Now grownup gamers can relive their childhood memories with Nintendo NES, a smaller replica of the original that comes loaded with 30 classic games. What makes this technology different from all the other products we have ever written about is that users are excited to DOWNGRADE the quality of their experience opting for a display mode called CRT filter. The filter makes HD and UHD television looks like old school CRT TVs with scan lines and all. Are you thinking about getting a gift card for that one person who is impossible to shop for? Change it up a bit and give the gift of automation. HTE gift cards can be used for any Home Technology Experts service and on the majority of our product. At Home Technology Experts, we geek out over all types of tech, not just the devices we use in our home designs. We like to share our finds with our clients and keep them informed of what's on the market. This year we have created two separate gift guides, our Tech Toys list for the little ones and our Smart Gifts list, which is basically tech toys for adults. WE STRONGLY RECOMMEND THAT ALL WI-FI ENABLED TOYS AND DEVICES BE CONNECTED TO YOUR GUEST WIRELESS TO MAINTAIN THE SECURITY OF YOUR HOME NETWORK. IF YOU ARE UNSURE IF YOU HAVE A GUEST NETWORK PLEASE EMAIL SUPPORT@HTENY.COM AND ASK. Admittedly, we are a bit biased, but what child wouldn’t love a voice controlled doll house? Simply connect the toy to Wi-Fi and use the activation command “Hello Dreamhouse” to open and close doors, control the elevator, turn on the shower and transform the stairs into a slide (we are still waiting on that integration for our projects). Whether you use voice control for your Control4 and Lutron systems, or edit scenes via your Savant app, your little ones can be just like Mommy and Daddy. The race for virtual reality has been on for the past two years. It's no wonder that numerous companies all came out with headsets this holiday. While they are all pretty cool, it looks like the ultimate deciding factor in the virtual reality experience will be hand controls. At the moment, none of them have the perfect solution. When choosing a Virtual Reality Headset, we chose the Playstation model since it already works with a well establish gaming system. We have been following Osmo since it was a prototype. Connect the Osmos attachment over an iPad lens, download the app, and your tablet allows your kids to interact with tangible objects that are recognized on screen. Their newest game, Coding, allows children to snap coding blocks together to control creatures on the screen. It may seem like deja vu, but the new and improved (and intentionally scuffed up) toy has made it through battle and is on the list again this year. With the SPRK+ app kids can write and run code for BB-8. Add the wearable and they can control the robot with flicks of the wrist. When not controlling BB-8 the watch allows users to take part in an augmented reality collecting game which is a cross between the traditional card collecting and Pokémon Go. Legos have been a Christmas list staple for decades, but this year they’re flying in like Santa’s reindeer. The kit comes with motors, sensors, propellers, and batteries. Kids can fly their creations by app, or an R/C remote. If their piloting skills are a bit rusty, they can simply reconstruct their creation after the crash. It’s so easy it’s child’s play. This Bluetooth football connects to an iOS app, tracking information from the sensors inside the ball to the app. It has the ability to track a throw's distance, speed, and spiral tightness. It also has a two-minute drill option as well as a game option. When in game mode your kids will get personalized play by plays from the voice of announcer Gus Johnson. The best part of game mode is the built in referee created by the sensors which can detect drops and gauge completed passes. While not at the top of our tech toys list, Hatchanimals is arguably the hottest toy of the season. The toy puts a new twist, or should we say shell, on a Christmas throwback, the Furbie. While the creature only hatches once, it can learn new skills and be reset and trained as many times as needed. This one is more of a lesson disguised as a cute pig and accompanying app. The talking Bluetooth bank encourages kids to earn monetary rewards to reach their savings goals. Have your child set a goal (perhaps the cost of the latest accessory for their new holiday gift) and then assign chores or accomplishments with a monetary value. When your child completes the task the “money” goes into their “account”. They even have the option of requesting additional tasks. Every year the custom electronic industry has their big trade show, the CEDIA EXPO. At this year's show, the trend was voice control, an option that appears on the Savant Pro Remote. Other companies such as Control 4 and Lutron decided not to reinvent the wheel instead teaming up with Amazon Echo (powered by Alexa). This year at our industry trade show, the largest sponsor wasn’t an automation system, AV manufacturer, or even a security company… it was Amazon. Yes, the same Amazon you probably used sometime this week to order that item you needed in two days or less. They spent a lot of money to make sure that every pro who attended knew that Echo (powered by Alexa software) full integrates with Control 4 and that more and more high-end tech products are becoming compatible their device. So why are these companies that worked so hard to make their products easy to setup seeking out integrators to connect the equipment into complex systems? For companies like Amazon, it’s so their product can be used to its full potential. While Echo is an impressive DIY solution, controlling lighting scenes, streaming audio, and controlling HVAC, it needs to integrate with DIY partners such as Phillips Hue and Nest. However, when Echo integrates with Control 4, it can then control all of the devices the automation software is controlling. The possibilities are endless: switching between video inputs, raising and lowering shades, pool and spa control, even customized automation such as turning on electronic fireplaces or other electric features. By joining forces with high end automation, Amazon can work veteran companies to create the most natural voice user interface possible. Companies such as Eero, who sells networking hardware, is exhibiting at CEDIA in an attempt to convert integrators and turn them into brand champions. Mass Fidelity and Riva Audio which manufacture speakers are at the show in the hope of breaking into the luxury market. Then there are companies like Ring, whose products don’t currently integrate with most of the third parties needed to be successful at the channel level. Ring’s roadmap includes neighborhood safety and community engagement features that would require market saturation, including luxury homes. “The more homes we’re on, the more we can impact crime in the neighborhood,” said found James Siminoff. However, it’s highly unlikely that Ring will be successful if it isn’t willing to integrate. We tested the product, and while it works as advertised, you can’t quickly and easily access the app when you need to. Combined with the fact that is more an inconvenience compared to other video doorbells that do integrate with automation systems suggests that Ring has a tough journey in front of them. While the number of DIY products at CEDIA are growing, it isn’t a new trend. Companies such as SONOS (audio distribution) and TiVo have been staples at the convention for years. While it’s rare to find a PLAY:1 in a luxury home, SONOS CONNECT is often hardwired to architectural and audiophile speakers. Within the past two years, SONOS which had been notorious for its closed API realized the need to work with Control 4 and Savant allowing for full integration of their control if it wanted to remain in this market. Other companies like TiVo positioned themselves as a legitimate alternative to more expensive solutions. Not only could it replace other video distribution options at a lower price point, but its true value is also the TiVo specific features such as Skip Mode™ and Quick Mode™. Integrators who ignored TiVo in the past had no choice but to acknowledge the company if they wanted to provide their clients with advanced capabilities. For years we have been explaining the difference between the high-end media player, Kaleidescape, and more basic options such as Apple TV and Roku. While Kaleidescape is the only one that can download and play full 4K UHD content from major studios or integrate with other theater equipment such as D-Box, it struggled to compete with similar products at lower price points. A month ago, the company publicly announced that it would be going out of business, not knowing the announcement would bring them a new strategy and financing. Friday, CEO Chenna Srivivasan, announced that Kaleidescape would remain open. The company is going to continue catering to high-end clients at a lower price point while adding premium options. An entry Kaleidescape currently costs $3,200, but Srivivasan hinted that might change, "I believe the luxury market can drop down to less than $1,000 and still be the Bentley." The most exciting part of the announcement is the fact Kaleidescape is working on partnerships with the Big Six (the six studios that are responsible for 90% of blockbusters) to provide its users with early access to new releases. It is unclear when these partnerships will be finalized, how soon the movies will be available via Kaleidescape before their On Demand debut, or how much these early releases will cost. Currently, our only other manufacturer that provides such a service is PRIMA Cinema. The $35,000 server allows movies to be viewed in home theaters on their theatrical release date. However, each title requires a fingerprint confirmation of the $500 viewing. The iPhone 6 was met with a lack-luster response and disappointing sales. When Tim Cook took the stage today he wasn’t just announcing new products, he was attempting to redeem his company’s reputation, and wasn’t alone. From Pharrell and James Gordon, to Mario and Pikachu, to Nike and Beats it was clear that Apple and its partners knew they had to meet expectations. Reaching a record 1 billion units sold, Tim Cook declared the iPhone the “best selling product of its kind in the history of the world”. So how do you improve such a product? By giving it a makeover complete with accessories of course. DESIGN. The iPhone 7 (starting at $649) and iPhone 7 Plus (starting at $769) have a new fused look warping the glass front and metal back quite literally into a seamless design. The phone is available in Black, Silver, Gold, Rose Gold, and the new (and very shiny) Jet Black (which Apple warns scratches easily). ENCLOSURE. Yes the rumors were true, the new iPhone is rated IP67, meaning that is water and dust resistant. To put it in real world terms, if you are pushed into a pool with your phone, it could withstand the pressure of being 3 feet deep for a half hour. HOME BUTTON. The home button has been redesigned to create force sensitivity. Allowing different haptic feedbacks for quick actions, messages, notifications, and ring tones. The Taptic engine API is available to developers so they can utilize these features when designing apps. CAMERAS. The photo (and video) capabilities Apple has managed to pack into this device is impressive. Both the front and back cameras offer optical image stabilization, sharper images, and a wider color gamut. While the front camera has been upgraded from 5 megapixels to 7 megapixels, it is the rear camera that got the overhaul. The back camera has an f1.8 aperture, a high speed sensor, Quad LED tone flash (a flash that filters out artificial lighting), ISP exposure, a wider color gamut, and noise reduction. The camera can also take multiple images and fuse them. These features reduces blur, make colors brighter, and better capture images taken in low light. The new RAW photography abilities allow amateur photographers to manipulate individual colors like a pro. So how long does it take a photo with the new camera? 25 milliseconds. On the iPhone 7 Plus a second lens is added to the back, giving you both a wide angle and a telephoto lens. This allows for enhanced zoom capabilities. By simply taping the screen you can go from 1x to 2x using the optical zoom. Software is used to zoom from 3x up to 10x. The double lenses also allow for shallow depth of field. Simply pick the portrait option and the phone will recognize the person or image in the foreground creating bokeh (the blurry haze) in the background. While the shallow depth of field capability won’t be in the September 10th iOS 10 update, it will be released within 2016. RETINA HD DISPLAY. The new display is 25% brighter than that of the iPhone 6 with Cinema Standard Color Management, a wider color gamut and 3D Touch. Apple’s friends at Instagram took the stage to reveal their updated version of their iOS app will take advantage of how the new iPhone takes and displays photos. SPEAKERS. Listen in stereo…speakers are now located at both the top and bottom of the phone. Apple’s new built in speakers were previously a vulnerability for water and dust, however new technology uses the speakers to expel such particles. LIGHTING CONNECTION. The lighting cable was originally designed to transmit high quality audio and video as well as electricity. 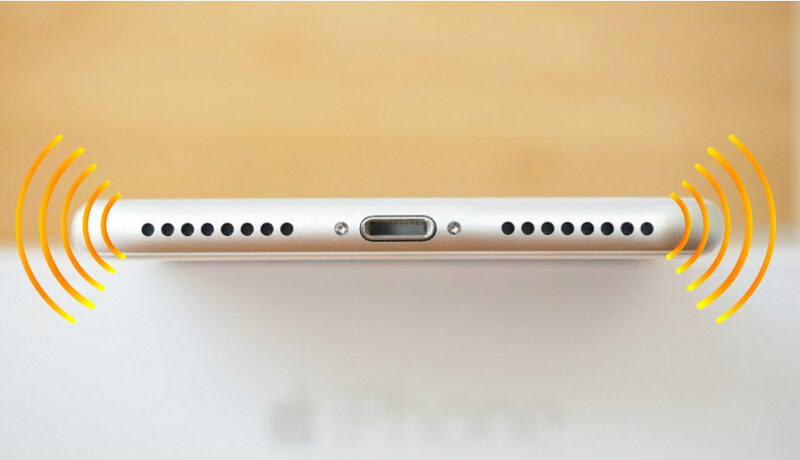 iPhone 7 and iPhone 7 Plus no longer have a headphone jack. The new phones will come with lighting headphones as well as a lighting to miniphono converter in each box. WIRELESS (W1 CHIP) & AIRPODS. Apple announced the W1 chip, which allows for a new type of wireless audio streaming that no longer requires pairing. This technology is being used in their new AirPods ($159). Infrared technology determines when the pods are in a listener’s ear, only playing when they are. Double tapping one of the ear buds will access Siri and these new wireless headphones are equipped with microphones plus jaw bone detecting and noise canceling technology. You can choose to use both AirPods in unison (like you would headphones) or just use one like you would a Bluetooth. Each AirPod holds a 5 hour charge and is stored in a charging case that provides an additional 24 hours. It appears that Dr Dre is a fan of the W1 chip since Beats is using it in the Poweveats3 ($200), Solo 3 Wireless ($300) and the new BeatsX ($150). However it is unclear if the W1 technology will only work with Apple’s 7th generation or if it is compatible with older phones via Bluetooth. PERFORMANCE. The iPhone 7 runs off of Apple’s new quad-core A10 Fusion chip. This chip is 40% faster than its predecessor and on average will provide an additional two hours of battery life compared to the iPhone 6. STORAGE. Apple has doubled their storage. The new phones now come in 32GB, 128 GB, or 256GB. Tim Cook told the world that iOS is their biggest release ever. New features include lifting the phone to wake it, the integration of Siri in applications, a redesign to Maps that allows users to summon transportation and make reservations from the app itself, integration with Home Kit, and new features such as messaging effects and the ability to make payments in the message app. Watch OS 3 premiered in June with Scribble (the ability to draw custom responses), Tap Back (quick reply), updated swiping capabilities, new faces, and animated stickers. As far as the physical watch, Apple is referring to it as “Apple Watch Series 2” ($369) and at 1,000 nits, it is the brightest device that Apple has ever created (twice as bright as its predecessor). Like the seventh generation iPhone, the second generation watch can get wet. Unlike the iPhone7 and 7 Plus, the Apple Watch Series 2 is swim proof, meaning it can withstand the pressure of being 164 feet under water. Series 2 also upgrades from a single-core to a duel-core chip, increasing its processing capabilities and doubling its graphic abilities. A new safety feature has been added as well. In case of emergency, users simply press and hold the side button. This alerts 911 and sends a text message to your emergency contacts with your location. While you need your phone in close proximity to use the energy alert feature, the new watch offers a built in GPS for those of you who would prefer to venture out without your phone. The GPS will track both your speed and location. The gyroscope allows for watch integration with workout applications. Ping’s golf app, claims to be able to assist you with your swing. The Apple Watch Series 2 is available in silver, gold, rose gold, and now in white. Integration with Pokémon Go allows players to track their speed and distance (as well as their virtual monsters and calories) as they walk. The app shows which Pokémon are nearby, alerts wearers when a wild Pokémon appears, allows them to collect from PokeStops, and track/hatch eggs. Pikachu isn’t the only one interested in the new watch, Nike built upon their relationship with the tech giant, introducing Apple Watch Nike Plus ($369). This watch is tailored to runners highlighting information they rely on. To start a work out with this watch simply tell Siri “begin a run”. The watch also sends motivational messages, provides coaching tips, suggests gear, and can even team you up with a running partner. The original Apple Watch, now being referred to as Apple Watch Series 1, will also be getting a dual-core chip upgrade at $269. Other notable moments during the Apple Event was the fact that Apple Music has reached over 30 million songs and 17 million subscribers. The app store has had over 140 billion downloads, hosting 500,000 games, and now they have teamed up with Nintendo to bring Super Mario Run to the App Store. Everyone Can Code is available and being used in schools to teach children the Swift platform. iWork has caught up with Google Docs allowing for real time collaboration. Finally, the event began with James Gordon, Tim Cook, and Pharrell doing Carpool Karaoke and closed with a Sia performance. Both Apple TV and Roku on their 4th generation, so how do these new devices compare to their predecessor and each other? Let’s take a look. The long awaited Apple TV is finally here and as promised it does have an app store. Now that your downloads are no longer limited to media, the new Apple TV offers additional storage. You can choose between 32 or 64 GB. However this does cause the 4th generation to be slightly thicker by 12 millimeters, a little less than half an inch. One of the biggest changes between the generations is the remote. The new remote ditches the circular hard button controls for a directional touchpad. It keeps the menu and play/pause buttons and adds a home button, volume up and down feature, as well as a hard button to access Siri. Unlike its predecessors, if you lose this remote, you can use an app on your phone to replace it. Other updates include the addition of Apple Music, Bluetooth 4.0, and an upgrade from a single –core A5 chip to a duel-core A8 chip. For those of you who have an Apple TV as a staple in your home theater, the audio capability has increased from 5.1 surround sound to 7.1 surround sound. The Roku already featured voice control, an accompanying app, additional hard buttons, and the ability to play games. The 4th generation Roku features a quad-core processor, duel-band wireless, and 4K video, which Apple TV does not have. Voice search is now available on the Roku app and a remote finder has been added. Watching “television” has drastically changed over the past twenty years. We have DVRs, video on the go, a plethora of streaming services, and series exclusive to those streaming services. Now TiVo, the original innovator in television viewing, has packaged all of those features together and added a few new ones, allowing you to watch what you want, when you want, how you want. The feature that was on everybody’s wish list is a reality. TiVo users can jump over entire commercial breaks by simply pressing the D button or channel up. While this option is only available on previously recorded programming (you can’t use it while watching live TV) and on new shows, it is a convenient option you’ll quickly get accustomed to. Typically you watch television when you have the time to sit and relax, but that isn’t always the case. That is where Quick Mode™ comes in handy. It allows you to watch your show or sporting event 1.3 times faster with auto pitch correct to avoid the chipmunk voices. While Quick Mode™ can be used on any prerecorded program, it is most popularly used for news programs and sporting events. To access this feature select a recording and hit play. A notification will appear giving you the option to hit select for Quick Mode, and you simply hit select. To turn Quick Mode™ off, pause the recording. Hit play and you will get a notification telling you Quick Mode™ is on, simply hit select again to turn it off. The TiVo unit and accompanying service also includes DVR, streaming services, a unified search option, in home live program streaming to Apple devices, as well as the ability to download prerecorded programs to watch on the go. Not only will getting a TiVo allow you to take advantage of exclusive viewing features, but since your cable box/ DVRs and streaming devices are now combined, it eliminates the need for additional devices. In fact each TiVo mini (six of these can be added to a TiVo Bolt) can be purchased for the cost of an Apple TV. However, they are more functional than an Apple TV since in addition to streaming they offer the same functions as a cable DVR. Voice controlled home automation has been a vision of science fiction writers for decades, but only recently became a reality. With the limitations of voice assistants such as Siri, it’s understandable why high end automation systems had steered clear of audio commands. However, there is finally an option for audio based control. Originally created to assist with DIY home automation, Amazon echo (powered by Alexa software) works as advertised. Simply say “Alexa” (or “Amazon” or “Echo”) follow by your command. Echo was originally for DIY automation but Control4 quickly realized the new ability it was allowing other brands and worked with Amazon to create a driver for their system as well. Alexa understands you on the first try. She even understands accents and “little kid”. Amazon Echo Dot: Same diameter as the Echo but it’s much shorter since the speakers are greatly reduced. Amazon Tap: You have to tap the button to wake Alexa up before you can give it a command, it will not automatically respond to the command words. Currently, Savant has a remote that features voice control, but you have to press the microphone button before you can give a command. According to industry reports, we should expect the Savant- Amazon integration announcement soon. Even without looking at the name, you know this is German through and through. Just the first look at the turntable convinces you that you are in the presence of Big German Audio of the first water. It’s big, bold and just the right side of sensible. And the arm looks like a magic wand... of course it’s German. Scheu Analog is a Berlin-based company. Originally started some 20 years ago by Thomas Scheu, the company transferred to his wife Ulla when Thomas passed away in late 2004. He left a legacy of solid turntables, arms and cartridges.Of which Das Laufwerk (Laufwerkis German for ‘drive-mechanism’)turntable is the top of the tree.Well, two tops of the tree; there’sa Laufwerk No 1, which uses twolayers of acrylic and stainless steel columns to achieve a high mass design, and the No 2. This abandonsthe layered design and just goes for inert high mass in the shape of a dirty great triangle of acrylic. It’s not that commonly known outside of the UK, but Scheu has taken this to the logical extreme, the high mass acrylic base becoming ahealthy chunk of slate. It uses an inverted bearing made of extremely hard ball- bearing steel, witha white ceramic ball resting on the top of the spindle. This is identical to the design laid down by Thomas Scheu in the still current Premier turntable. However, the bearing chamber in the Laufwerk has an additional grade of damping and resonance built into the system by mass-loading the bearing chamber with lead shot. Although, because of RoHS, I suspect ‘lead’ is an euphemism for something less intrinsically leaddy. Scheu considers the Laufwerk Slate a special edition of the No 2 deck and with good reason – the fundamentals are identical,only the mass and material of the chassis differs.However, Ivan at UK distributor Cool Gales thinks the change in material changes the performance significantly enough to warrant it being a standalone turntable in its own right, and as the Scheu decks are hand-built, it’s not a big deal. Whatever the chassis material, the rest of the deck remains functionally identical. It uses the same 80mm thick, 7.5kg acrylic platter (which you can get in both smoked or clear finish), a fully isolated off- board DC motor power supply (Cool Gales recommends a length of fishing line as a belt, although rubberised belts are available), and adjustable feet. It’s very easy to level, thanks in part to an optional £100 record clamp, which also features a spirit level on the top (Linn users need not apply – it’s massy enough to throw off the suspension). The tonearm sits on top of one of the levelling towers, and that means up to three arms can be used at the same time. As standard these come in acrylic, but bronze armboards are special orders. HTE, Home Technology Experts, has been assuring clients they can “trust the experts” for over a decade and they have the numbers to prove it. The Southampton based technology integrator is the only firm in the area that has been awarded a Platinum Partnership with Savant Systems and a Pinnacle Partnership with Control4. While obtaining top tier status with both companies was an accomplishment, it’s not what owner, Alex Karoussous, is focused on. “Our goal is, and has always been, to design quality systems that function to their highest potential. Both Savant and Control4 are great companies with products that live up to our clients’ expectations,” said Karoussos. “Our clients have had a positive experiences and we are fortunate that they’ve recommended us to their friends and family, "that’s how we are able to reach our partnership levels” he added. When asked about future goals for the upcoming year, service manager, Terry Wahl, said the company was going to continue to increase their service availability. “Our clients expect the best and we have to deliver. We’ve solidified our 24 hour support, putting technicians on call around the clock, on weekends, and even having a standby tech on holidays.” Wahl went on to explain the value of system maintenance and software updates, stating they will also be rolling out maintenance service packages in February. HTE’s Director of Design and Engineering was proud to be Savant’s only platinum dealer in the area, but more excited for the new opportunities the control systems have led to. “Clients know these systems allow them to push the limits as to what is possible and we are getting new and different requests for projects.” While the company focuses primarily on residential automation, there is a growing demand from clients to incorporate distributed A/V, automation, as well as lighting and climate control in commercial settings. “We’re currently working on a national roll out for an overseas company opening several locations in the US” advised Director Project Manager, Alfred Faicco. HTE isn’t resting on its laurels. Between expanding to a larger Manhattan office and implementing a new processes to improve both the client and industry professional experience, there is no telling what 2016 has in store for them.